Today's throwback is focused on a character who hosted afternoon cable television. 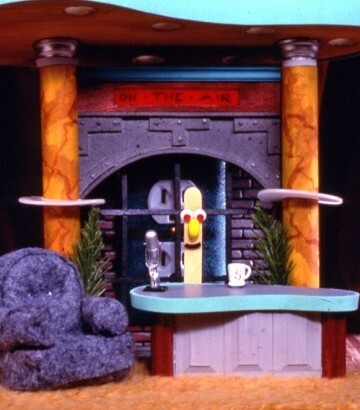 Stick Stickly would spin on a dial to figure out what show would play next. There was a segment called Stump Stick, where he'd be given a riddle to solve. 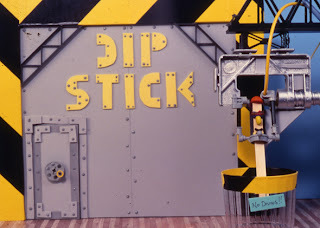 There was Dip Stick, where Stick had to try and guess what he was being dunked into. Doesn't sound that exciting now, but it was amusing to us (pre)teens! And, to completely date the entire thing (Stick went off the air in 1998), you didn't email him... you wrote to him. And, all true Stick fans will now sing the following jingle aloud... "Write to me, Stick Stickly, PO BOX 963, New York City, New York State, 10108!" Now, the real question... did you send him a rubber band for his birthday like he asked? My mom wouldn't give me a stamp for such a thing, but I wanted to! I didn't watch the videos. Your writing was engaging enough.